Do you know why Halloween is so fun? Sure it has a unique way to bring out the kids in all of us and every year, now as adults, it brings back the memories of going door to door to start hoarding all those treats. "Free candy? Are you kidding me? Let's do it!" 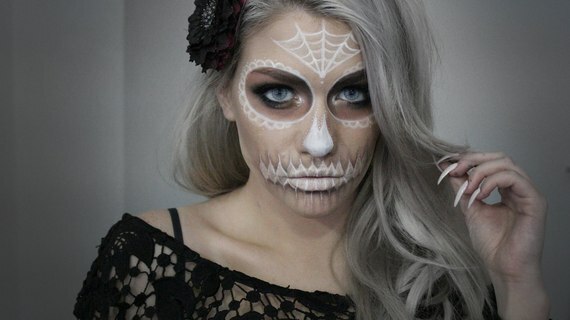 Come the end of October now as grownups and we often see our fun and expectations shift towards Halloween Parties. Every year we get to wonder if we should follow a pop culture trend for our costume, or choose a more solemn theme like a Presidential Campaign candidate... After all, colorful costumes always seem to steal the votes. As Love Guides, we tend to always look at seasonal events with a different set of glasses. And although Halloween is not as emotionally charged for singles as the Holidays are, we can't help to draw a parallel with what we'll call the "disguise factor." Too often we see single people so desperate for companionship that they will go to great lengths to try to impersonate someone that they're not. Often unbeknownst to them, they unconsciously wear a disguise that's burying their true gift: their "love-worth." With that in mind, allow us to push the allegory a little. When we hide our true self at the beginning of a relationship we tend to do it for two reasons: we want to please the new partner with our phoney charm, and we want to hang around without totally engaging. So let's question the veracity of our intentions here. What are we really after? This is a very popular costume. Many of us have been wearing it since childhood. Others have tried it on later in life. But in either case, the scars often look fresh. Many experts say that if you once experienced an "emotional rejection," you are very likely to try to avoid it at all costs in your new relationships. This of course includes our love life. FEAR of Rejection victims would rather give up and stay alone than even try to find a suitable mate. It's a lethal disguise. Sadly, when we build a relationship on a faulty foundation, it's destined to collapse. We need to reconcile who we are with the fake personas we are putting on from time to time. What's the purpose behind our disguises? Manipulation? Fear? Low self-esteem? Remember, there's a big distinction to be made between wearing a gaudy costume on Halloween and covering up one's true identity for the rest of the year. With that in mind, we hope you'll enjoy the sight of smirky faces, friendly ghosts and 3-foot tall witches on October 31st! We sure will. 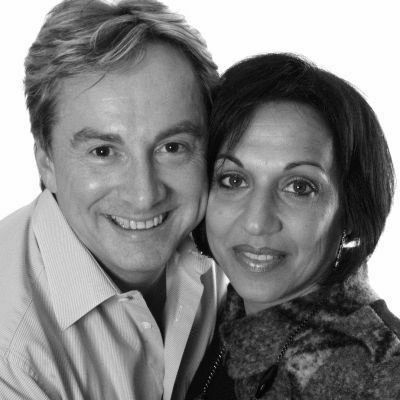 Connect with Mario & Diane on Facebook or Twitter for their latest insights. Mario & Diane are now traveling across the United States and Canada to spread their message: that it is possible to "live happily... EVEN after!" ReLovenship: Look Within to Love Again! A Workbook to Attract "The One" and Much More in Your Life! 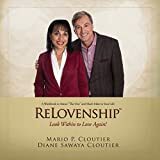 ReLovenship(TM): Look Within to Love Again! A Workbook to Attract "The One" and Much More in Your Life!